I’m always learning. Today I learned about “scratched rock art”, which is a style of petroglyph (glyphs carved into hard rock) that is often found scratched more shallowly into a rock over an older, deeper image. 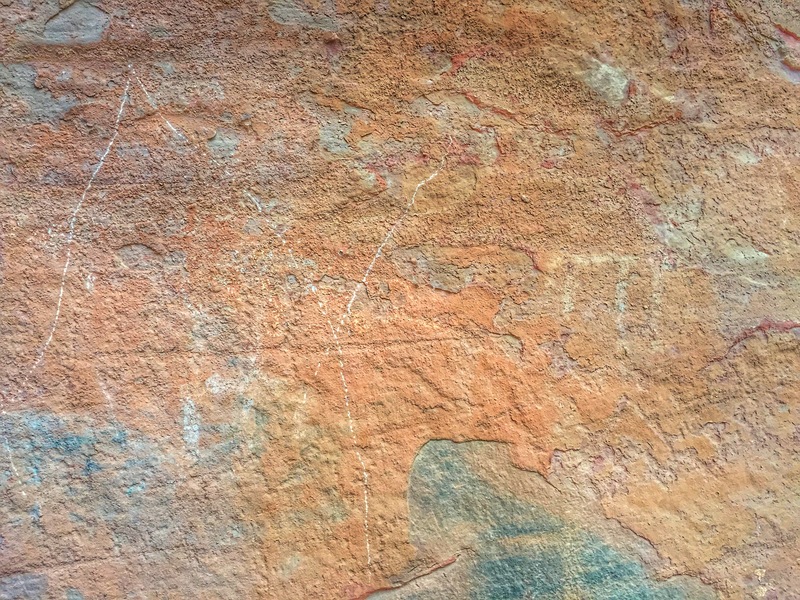 Whereas many deeper, wider-lined petroglyphs can be thousands of years old, scratched rock art would be a more recent addition to a panel and may be only a couple of hundred years old at most. This concept shed some light on some pictographs (glyphs painted onto stone) that I had previously discounted (see this earlier post) because they looked too different and too new. 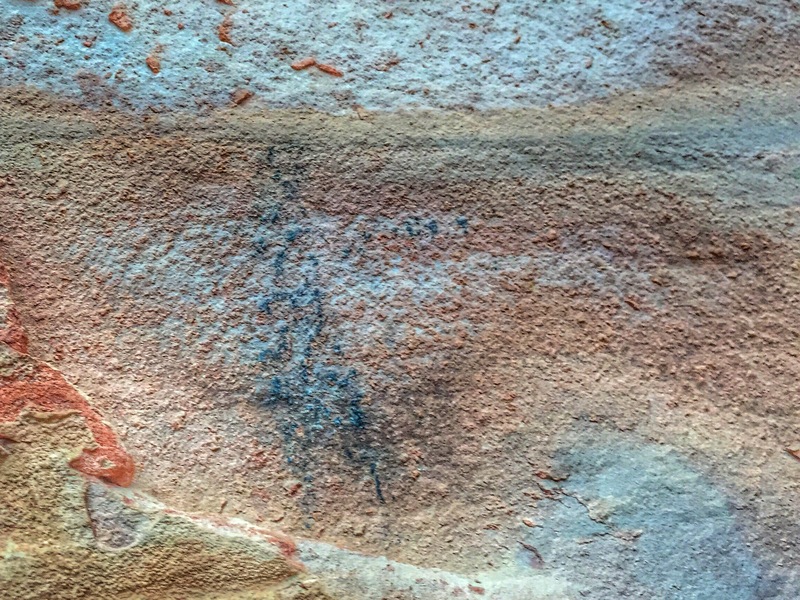 I credited fakers (destructive charcoal wielding hikers) with drawing on a cave wall in which I found very old pictographs painted by the pueblo people of Sycamore Canyon Wilderness, Arizona perhaps about 700 years ago. I now understand that indigenous people may have come along at a later time, used the same shelter, and added new art to the panel. This is consistent with the “remodeling” of the pueblo walls I noticed in the shelter. Below are the images I would like to add to the collection I shared in my original post “Arizona Hohokam Indian Ruins“.